The Strategic Petroleum Reserve is an emergency stockpile of oil. The U.S. Department of Energy stores it for use in a crisis. The SPR was created in 1973 in response to the OPEC oil embargo. Some in Congress question whether it is still necessary. Four underground salt caverns on the coast of the Gulf of Mexico store the oil. That's a central location. 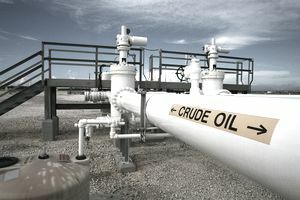 The oil can be distributed to nearly half of the U.S. oil refineries either through interstate pipelines or via barges. It only takes 13 days for the oil to enter the U.S. market from the time the president first gives the order. There are two cavern locations in Texas. As of September 30, 2018, Bryan Mound held 235.3 million barrels in 20 caverns. Big Hill held 153.4 million barrels in 14 caverns. The other two are in Louisiana. West Hackberry held 199.5 million barrels in 22 caverns. Bayou Choctaw held 71.88 million barrels in 6 caverns. The maximum capacity of all four caverns is 727 million barrels. It reached that total fill level for the first time in December 2009. The federally-owned reserves can replace more than four months worth of imports should that ever become necessary. It can draw down 4.4 million barrels per day. The federal government owns all the oil held. Fortunately, the government only paid $29.70 per barrel (on average). The SPR only cost $25.7 billion. Of that, $5 billion was a fixed cost that paid for the facility and $20.7 billion paid for the oil. Every time gas prices approach $4 a gallon, there are calls to release oil from the SPR. But there are strict guidelines controlling when the oil can be released. These are defined in the Energy Policy and Conservation Act. The president can order a full drawdown if there is a long-term energy shortage that threatens national security or the economy. The president may order a limited drawdown of fewer than 30 million barrels if there is a significant oil shortage. The Secretary of Energy can carry out test drawdowns of less than 5 million barrels. Limited releases occur as part of an exchange with a private company to avert a crisis. The SPR can release oil if it has received more than it lent out. Here's a summary of when the oil has been released. 1991 - President George H.W.Bush ordered a release to stabilize the global supply under Operation Desert Storm. 1996 - An additional $227 million in oil was sold to balance the budget. Oil was also sold to pay for decommissioning the Weeks Island storage site, which had fractured. One million barrels was exchanged when ARCO's pipeline became blocked. 1997 - Congress directed that $220 million worth of oil be sold to balance the federal budget. 1998 - Eleven million barrels were exchanged for 8.5 million barrels of higher quality oil. 2000 - The SPR loaned 500,000 barrels to refiners when the Calcasieu ship channel was blocked. Later that year, President Clinton ordered a 2 million barrel home heating oil reserve. The SPR exchanged its crude oil with private firms for the heating oil needed. 2002 - Hurricane Lili required an exchange of 98,000 barrels. 2004 - Hurricane Ivan required a 5.4 million barrel loan. By 2005, 5.6 million barrels had been repaid. 2005 - President George W. Bush ordered a drawdown to replace oil production lost as a result of Hurricane Katrina during the fall of 2005. That's because gas prices had skyrocketed to $5 a gallon. Oil refineries and transportation had been damaged by the hurricane. The SPR helped keep gas prices at an affordable level until this infrastructure was repaired. The SPR released 20.8 million barrels. But oil had been released as an exchange prior to the president's orders. 2006 - The SPR loaned 750,000 barrels to local refineries when the Calcasieu Ship Channnel was closed from an oil spill, and 767,000 barrels when the Sabine Neches channel was closed due to a barge accident. Both loans were repaid later that year. 2008 - Prior to Hurricane Gustav coming ashore on September 1, 2008, the SPR had reached 707.21 million barrels, the highest level ever held up until that date. A series of emergency exchanges conducted after Hurricane Gustav, followed shortly thereafter by Hurricane Ike, reduced the level by 5.4 million barrels until 2009, when it was repaid. 2011 - President Obama directed a release on June 23, 2011, to offset the loss of production due to the Libyan crisis. The U.S. released 30 million barrels in coordination with 60 million barrels released from other members of the International Energy Agency. 2012 - One million barrels was lent to Marathon Petroleum Company to offset damage caused by Tropical Storm Isaac. 2017 - On August 31, the Department of Energy announced it would release 500,000 barrels of crude oil from the Reserve to supply oil that was disrupted by Hurricane Harvey. The release went go to the Phillips 66 refinery in Lake Charles, Louisiana. The refinery will resupply the oil back to the Reserve when the supply returns to normal. 2018 - On February 9, Congress agreed to release 100 million barrels as part of the 2018 budget agreement. It will release 15 percent of the Reserve's total between 2022 and 2027. The proceeds will help fund management of the Reserve. All member countries of the International Energy Administration have reserves, but the U.S. SPR is the world's largest. Each country keeps 90 days worth of imports on hand. This protects against supply disruptions, either from embargoes by the oil-exporting countries or damage from hurricanes and other natural disasters. As of 2016, there were 3 billion barrels held in global strategic reserves. That only counts the 35 members of the Organization for Economic Development. It excludes stockpiles held in China, the Middle East, and Russia. Strategic reserves are not counted in a country's proven oil reserves, which must be available for production. China holds the world's second-largest reserve. Its target is to hold 511 million barrels. As of 2016, it held 400 million barrels. Japan held 324 million barrels, while South Korea held 146 million barrels. Spain held 120 million barrels, while India held 39.1 million barrels.